SUGIZO, a member of LUNA SEA and X JAPAN, is undoubtedly also very popular overseas. Fans in different countries have seen him in concerts—and now, for the first time ever, he will hold a first talk event overseas, in Bangkok. Such a great news for his fans, especially in Southeast Asia, specifically Thailand! The event, comprising talk show and mini violin live, will be held on 3 November 2018 in Aksra Theatre. 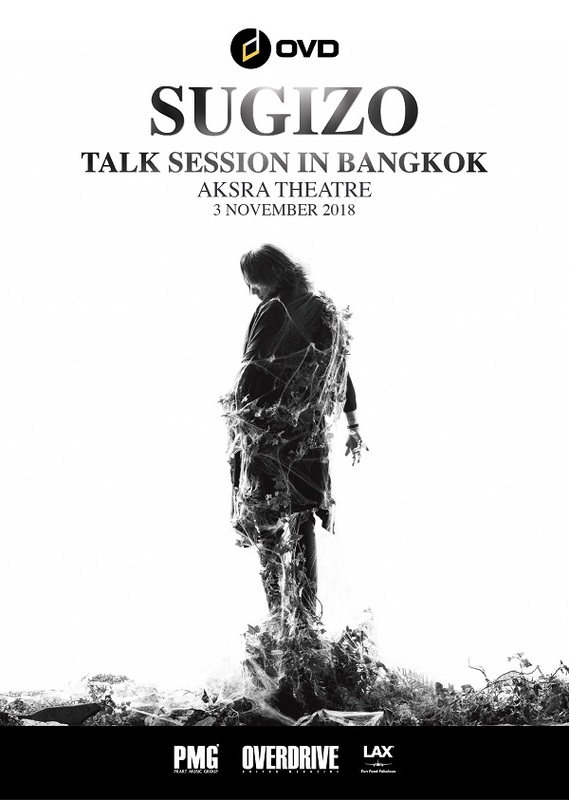 With the theme Music, Thoughts, Life and Soul, SUGIZO will share his view of life, messages and stories through his music, his root of the dynamics of activities including activities such as use of Hydrogen as renewable energy sources, Environmental efforts, refugee support and disaster relief volunteer. “How long it has been since you heard the name SUGIZO LUNA SEA and SUGIZO X JAPAN? OVD would like to invite you to dive deep into the depth of SUGIZO’s thoughts and soul. When darkness overcomes the light, while the light conquers the dark, the outcomes were borderless and undefined pieces of music. The ‘Sound’ which have been created echo out the scream from within. Every single time SUGIZO unleashes those sound out through the strings, what are really on his mind? It’s time to see through to the hidden ‘Light’ under the wings of LUNA SEA and X JAPAN through the meaning of his ‘Sound’. This is talk event that is not just a talk event. *ticket details will be announced on 1 September 2018.